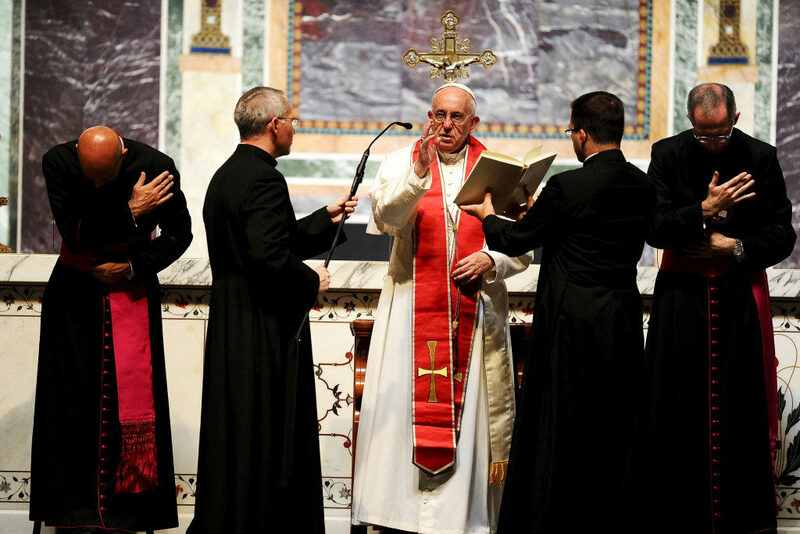 Milford, NH – During Pope Francis’s recent visit to the United States, Beltsville, Maryland-based RCI Systems provided sound for the Pope’s midday prayer service, which was telecast from inside St. Matthew’s Cathedral in Washington, D.C. on September 23rd. Bob Capotosto, Systems Design Engineer for RCI Systems, was the project manager for providing sound for the midday prayer service. RCI Systems provided the audio feed for NBC, who televised the event, using Earthworks FM500 podium microphones. RCI Systems had upgraded the podium microphones in St. Matthew’s Cathedral in June 2014. “They wanted to replace their existing podium microphones because they were having some gain before feedback and tonality issues,” explains Capotosto.